You’ve reached the official website for Jennifer Allis Provost, author of fantasy, horror, and contemporary romance. Heir to the Sun, book one of the Chronicles of Parthalan, is available now from Bellatrix Press. For those who read Heir to the Sun and wondered what happened next for Asherah, the sequel, The Virgin Queen, released April 5, 2016. Be on the lookout for the third installment, Rise of the Deva’shi, available in December 2016. 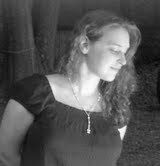 Jennifer’s work can also be found in several anthologies, please visit the bibliography page for more information. If you’d like to join Jenn’s mailing list, please visit the contact page here (you’ll get a free ebook if you do). If you have any questions, feel free to email Jenn at jenniferaprovost@gmail.com.